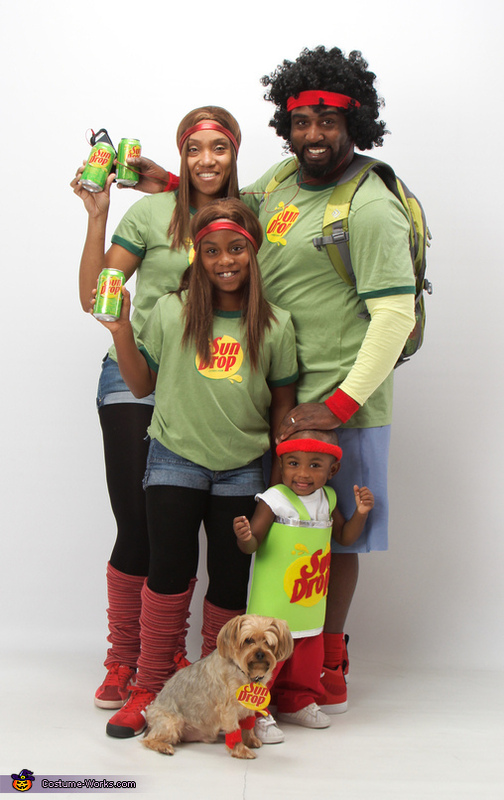 The Sun Drop commercials were are inspiration. The total cost of all costumes $250. The soda (baby)can was homemade by my husband Maurice, we used colored felt for the letters, lime green foam board for the can, foil/parchment paper for the boarder and velcro.